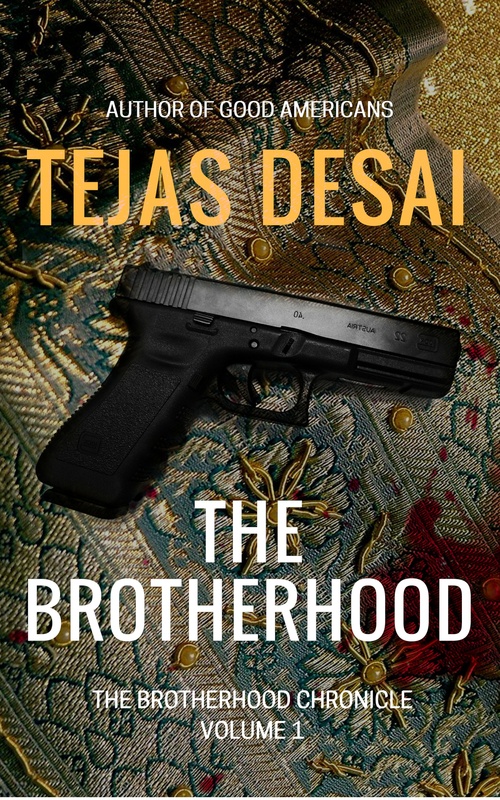 The Brotherhood Chronicle is an international crime trilogy set in New York City, Thailand, India and the American South. It starts off when Priya Mehta, a promising college student, jumps out of her dorm room to her death in New York City. As Niral Solanke, a down on his luck private investigator, looks into her demise, he is drawn into many different worlds--of high finance, Hindu religious organizations, the art community, strip clubs and ethnic criminal gangs. What follows is his journey and transformation--physical, vocational, mental, spiritual--as more mysteries are introduced and uncovered. We also follow the stories of many other multicultural characters--financiers, politicians, drug dealers, prostitutes, military generals, police officers, housewives--as they try to survive and make sense of the world they live in, informed and influenced by Hindu, Buddhist, Islamic, Christian and atheistic philosophy and thought. The Brotherhood, The Brotherhood Chronicle Volume 1, was initially published in September 2012 and is available for purchase in paperback and ebook editions. Following the cataclysmic events of the first volume of The Brotherhood Chronicle, Niral Solanke has been banished to Thailand, where he works undercover for The Dragons. But a special business interest reconnects him to The Brotherhood and its new leader Bhai, creating a conflict over his loyalties. Meanwhile many characters, both old and new, are embroiled in their own dramas across Thailand, India, New York City and North Carolina, including: Rob Johnson, the Croat-Australian killer with special, conflicted loves; Bob Macaday, fresh out of witness protection and hankering for action; Apsara, a beguiling Thai prostitute with mysterious motives; Duncan Smith, caught between career and family; Lance Portman, mired in the grind of New York City politics; and Detective Nat Sachinkowdon, dedicated to his job but tortured by his past. These characters and others dance along the wire of chaos and order, deities and doom, in this next volume of the chronicle. The third volume of The Brotherhood Chronicle continues the stories of several survivors of a violent international criminal world. With blood on his hands and Manu by his side, Niral continues to balance divided loyalties. In New York City, Lance, Carty and others scheme over the The Long Island City Project, while in North Carolina, Ashok and Hemraj concoct other plans. In Thailand, Duncan and Mr. Hong hunker down while Nat searches for his missing son. In India, Talim salivates for revenge and Bhai prepares for Shri Diwali, culminating in a powerful climax.